Cozy adorable home. New paint, laminate floors, new heavy duty insulation, commercial roof, dual pane windows and garden window in kitchen. 3 bedrooms with master sitting room that could be a small 4th bedroom and 2 full baths. Covered patio area. Home is situated in center of large lot which provides for a large front and back yard and a nice long driveway. Perfect for FHA, VA and CalVet buyers. 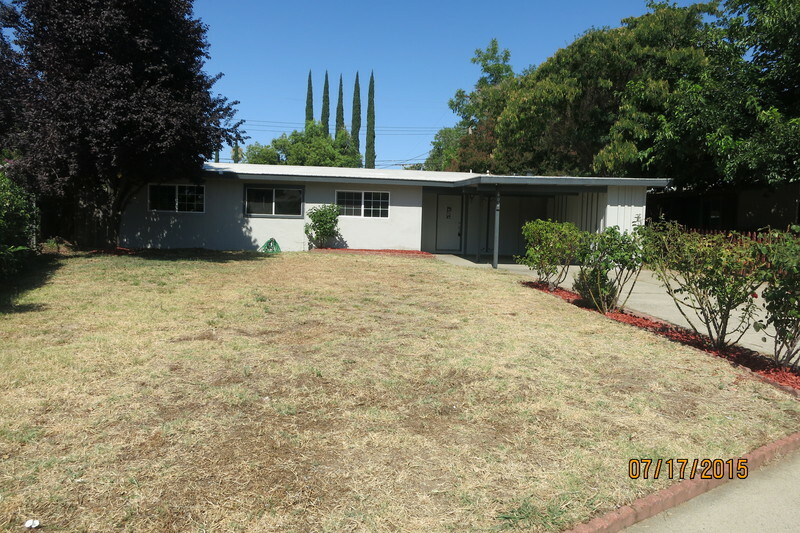 Great starter home or investment property in established older neighborhood. Close to everything.